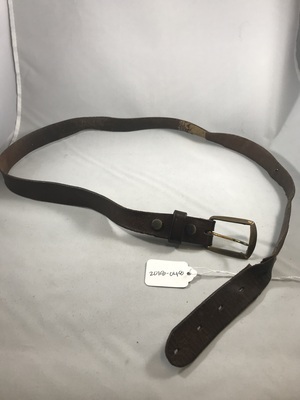 Very worn brown leather belt with 6 holes for sizing. 3 ft 2 in. long.